The beauty of Chinese teas lies in the ability to mimic thousands of flavors and scent. Cinnamon Flower is the authentic Wuyi rock tea from Fujian province, able to satisfy the tea drinking needs of all cinnamon lovers. 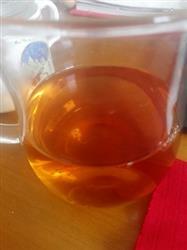 A touch of Chinese cinnamon, a touch of spiciness, a touch of flowers, and a touch of minerals result in the incredibly aromatic tea with deep orange color and mellow flavor. 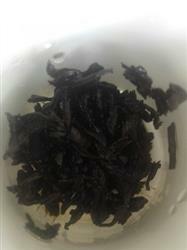 Special growing eviroment and making process makes this wuyi Oolong tea Contains amino acids that help to dissolve fat. 4 grams of loose leaf tea in 300ml of 90℃ water for 1 minute. Re-steep 4-6 times. Wuyi Mountain is famous for its astonishing landscape, and its variety kinds world famous teas, such as Lapsang souchong and Da hong pao. The soil condition, sun light duration, water reservation and excellent air condition, build a great place for tea trees to grow. Outstanding tea for a Rou Gui varietal. It has a very strong presence: a classic Wuyi Yancha, with a strong Yanyun at the beginning and finaly with an frutal (peach _ Apple) aftertaste. Nice whole dark leaves with a fruity aroma. Brews a light orange. Prominent fruit flavor like ripe melons, cinnamon spicyness, and notes of baked bread, mineral water, and dry wood. The dry leaves smell amazing �� a perfectly balanced roast. Very full bodied with strong cacao notes. The flavor is very complex with the typical minerality as its base. Love the mouthfeel, super thick and oily and leaves a mouth watering menthol flavor all over the palate. Super strong, long lasting aroma this tea has! I like it, but my friend doesn't, he said it was to smoky and harsh for him. Well, it is one really outstanding tea, people gonna love it or hate it.